Color Enhancing Shampoo gently cleanses and refines highlights, enhancing the tone of natural and color treated hair. It eliminates yellow and brassy tones, and works well with tinted, grey, and highlighted or bleached white hair. Sulfate-free and rich in natural botanicals. 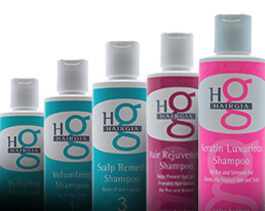 Color Enhancing Shampoo by HairGia is formulated specifically for those with color-treated, bleached, or highlighted hair. 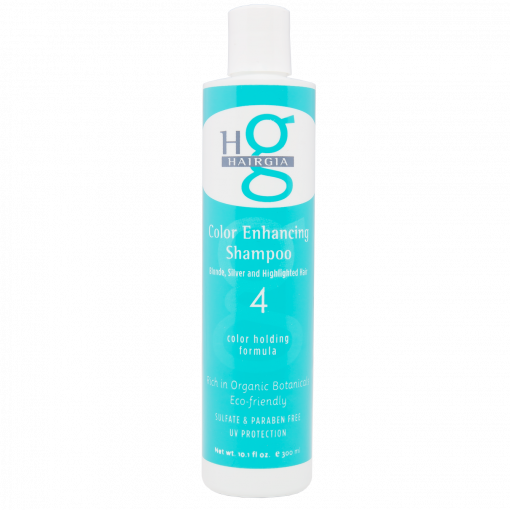 Designed with natural botanicals to be gentle and nourishing, and always sulfate-free, this shampoo is great for all hair types. Pair the shampoo with one of our natural-ingredient-rich conditioners for optimal health and shine. DIRECTIONS: Apply a small amount of Color Enhancing Shampoo to wet hair, lather for 1 minute and rinse. Repeat for added color enhancing effect. 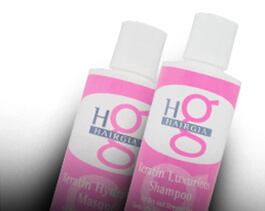 Follow with a HairGia moisturizing conditioner to hydrate hair. We suggest using any one of our conditioners after shampooing for soft, healthy hair. Style as usual and finish with our Creative Hair Spray for all day hold that isn’t stiff! We are committed to creating products that are good for your hair and the environment. Sulfate-free and rich in natural botanicals, HairGia hair products are tested by our own family, ensuring we produce products of the highest quality that provide optimal results. From shampoos to conditioners and moisturizing masques to hairstyling products, we create luxurious, all-natural products that leave your hair looking and feeling healthy! Have questions? Contact us online. Really helps keep silver/white hair from yellowing. I used this shampoo after I highlighted my hair to an almost white blonde and it is amazing. I have never seen a brassy or yellow tone in my hair since using this product. It’s not harsh at all and each time after I wash my hair with it I notice my color is enhanced. Even when I’m overdue for a color touch up this shampoo keeps my hair from looking brassy and helps my root growth blend in more. Anyone who highlights their hair and wants to keep that annoying yellow brassiness away buy this product and you’ll never worry about it again.